Cast your mind back a few years ago to Walker’s (the crisp people, just in case you’re not with me and thought I was talking about a beer) who launched an advertising campaign focused on the quality and care they put into every bag of crisps. It showed a slow motion Gary Lineker holding a crisp up to the light and inspecting its appearance. Gary putting the crisp in his mouth and nodding with approval at the quality and full flavour. Gary flashing his cheeky chappie smile at the camera signalling his approval to the viewers. 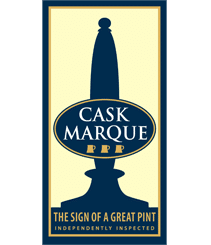 Well, harumphed the army of Cask Marque inspectors, we’ve been doing that for years with beer. (Inspecting the quality, not the slow motion bit, of course. Although I could name one or two who could speed up a bit). So, Something for the Weekend has been hijacked this week by the guys and gals at Cask Marque Mission Control who asked me to communicate their thanks to Walker’s and name my best ‘beer and crisp’ flavour matches. First the science-y bit. All crisps contain fat and salt. The fat coats your tongue. The salt makes you thirsty. So to get rid of the fat, you need a bit of effervescence on your tongue, to scrub away the greasiness. The salt needs neutralising, so you need water. And which alcoholic drink is up to 95% water? Hello beer! Ready Salted with virtually any cask ale you like (ready salted, or ‘plain’, as my other half calls them, are much maligned, but they’re massively adaptable). If pushed on a brand, I would go for Timothy Taylor’s Boltmaker. Both classics in their own right. Remember folks, there are other brands of crisps out there, but as Walker’s scratched our back, we’ll scratch theirs. Scratchings…now there’s another article.